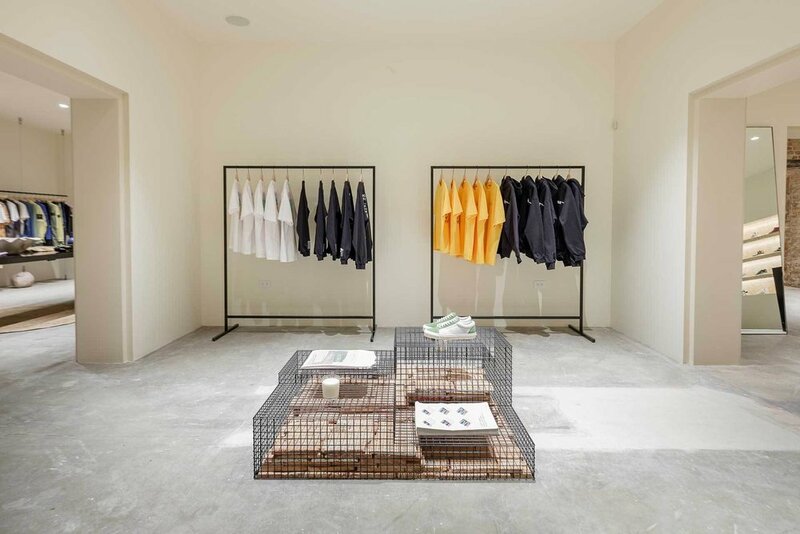 The Chicago-based retailer, Notre recently reopened their newly renovated retail space. Redesigned by the Norman Kelly architecture firm, the 4,500 square foot space boasts high ceilings, a Chicago bricked entryway, wooden support beams, and concrete floors. The updated interiors plan to house ever-growing selection of goods, a womenswear program—new for Spring/Summer 2019—a publications room, and an apothecary and home goods section. In addition to the product offering, the updated space plans to double as an auditorium for cultural programming- whether it be with designers or other creatives. Be sure to check out the detailed photos of the industrial & residential inspired space below.